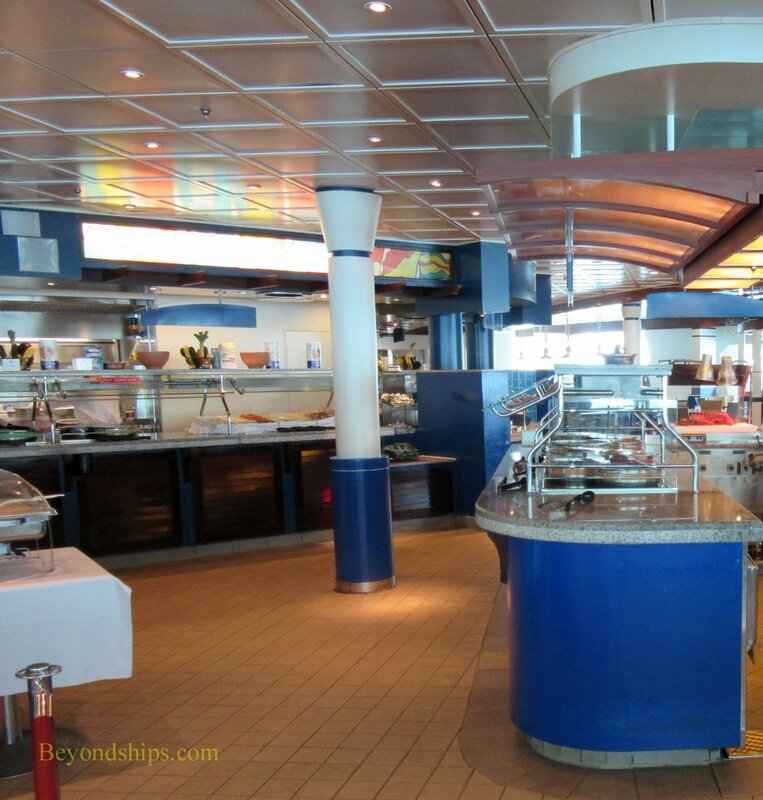 The Windjammer is Freedom's casual buffet restaurant. 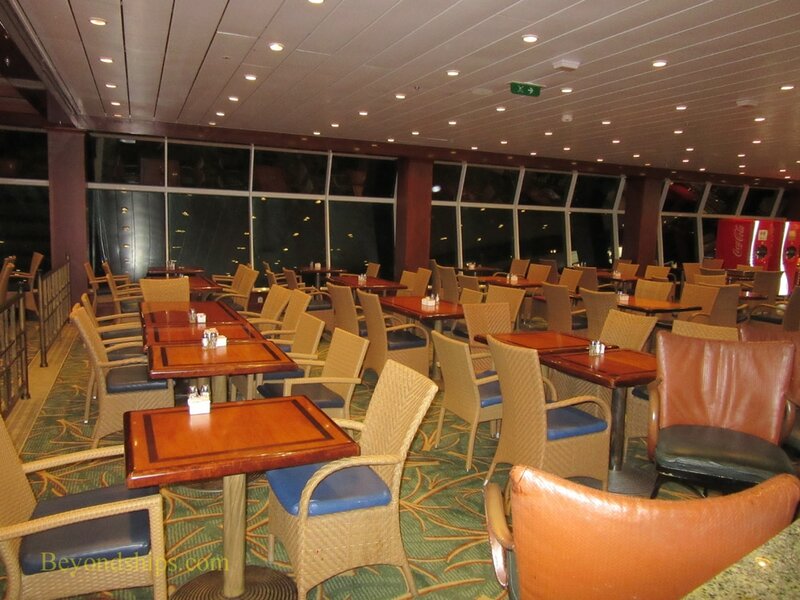 This very popular self-serve venue is high on the ship on Deck 11 giving it excellent views. 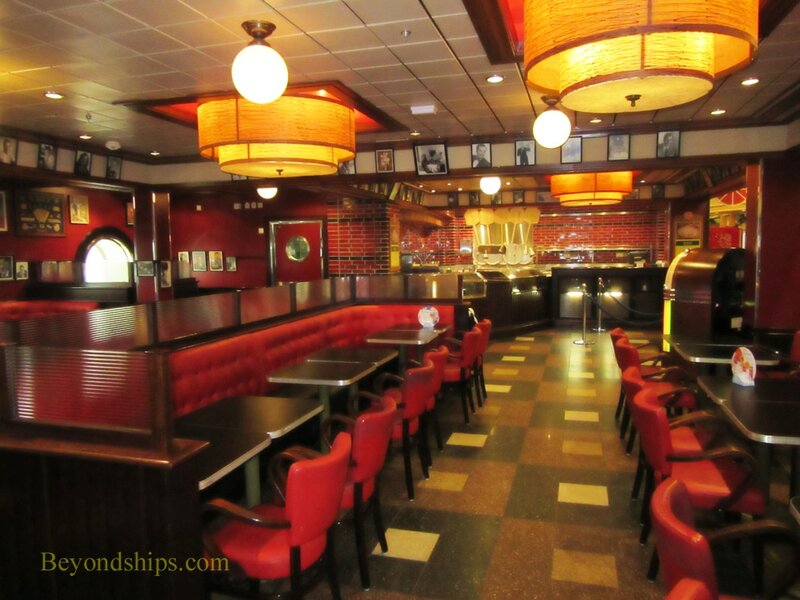 Although it is known as the Windjammer, the original concept was to divide the area into Jade , an Asian-inspired buffet and the Windjammer Cafe, a traditional buffet borrowing from a variety of cuisines. This division has faded away over time. 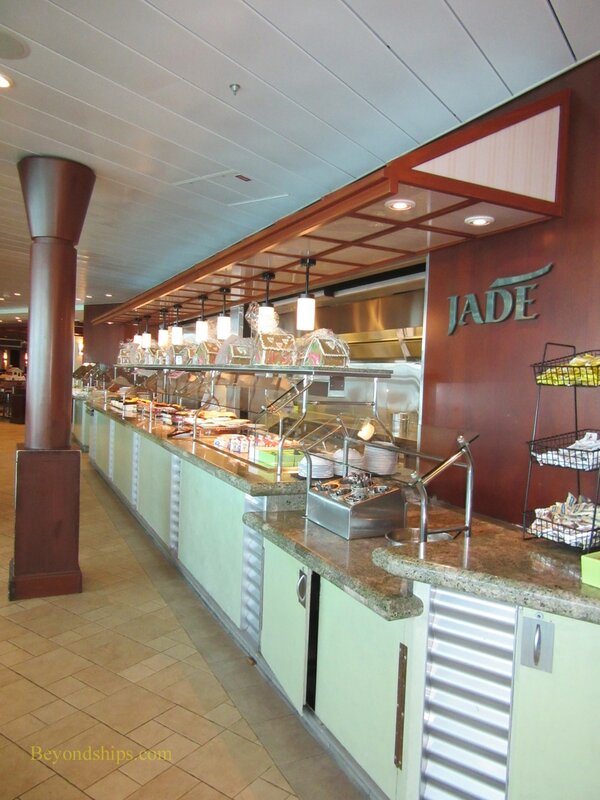 In any event, the restaurant offers a wide array of choices. 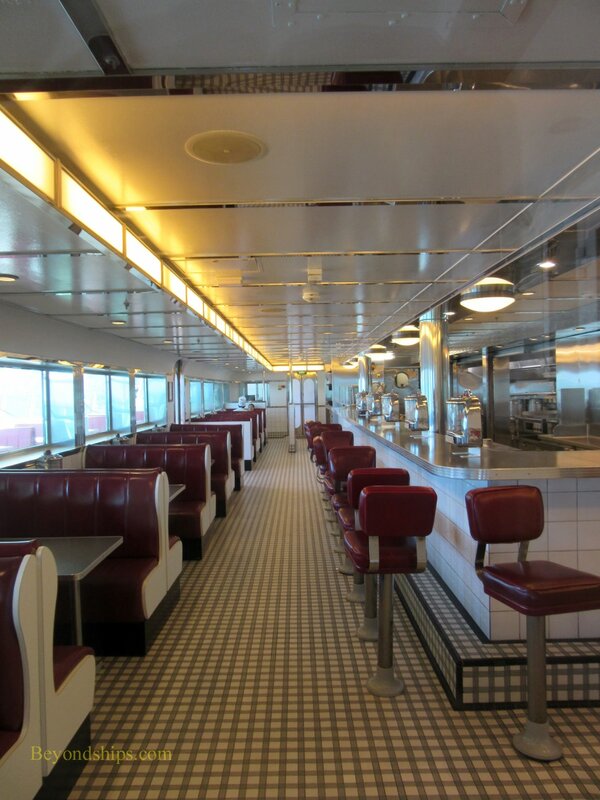 It is open for breakfast, lunch and dinner. 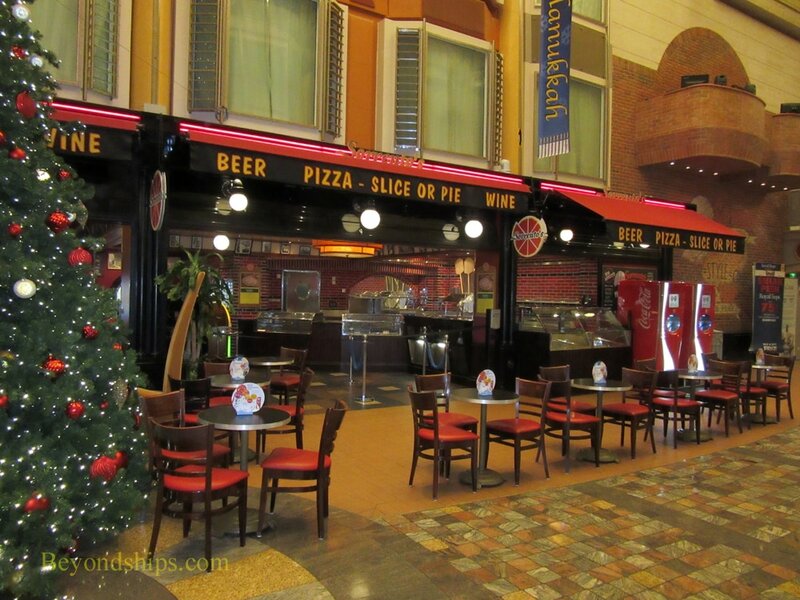 There are several eating venues along the Royal Promenade. 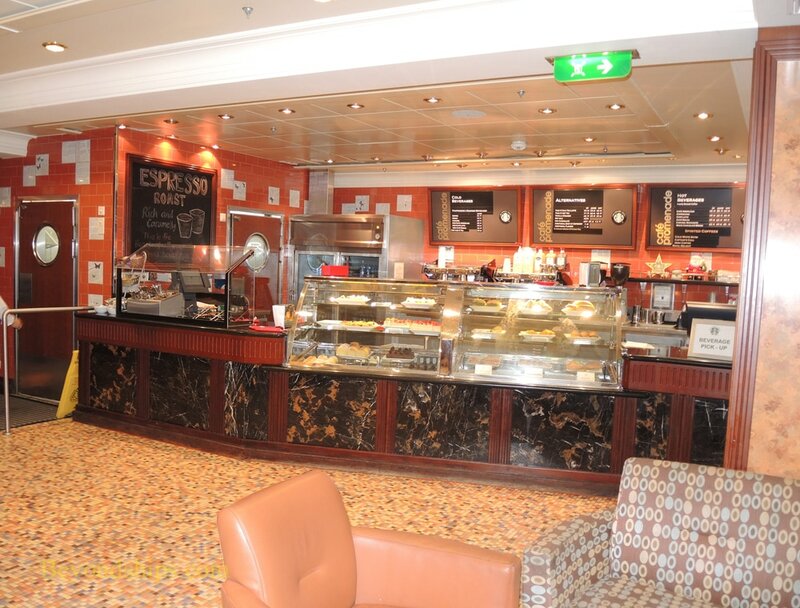 Among these venues are: Cafe Promenade (above) serves sandwiches, cookies and pastries. 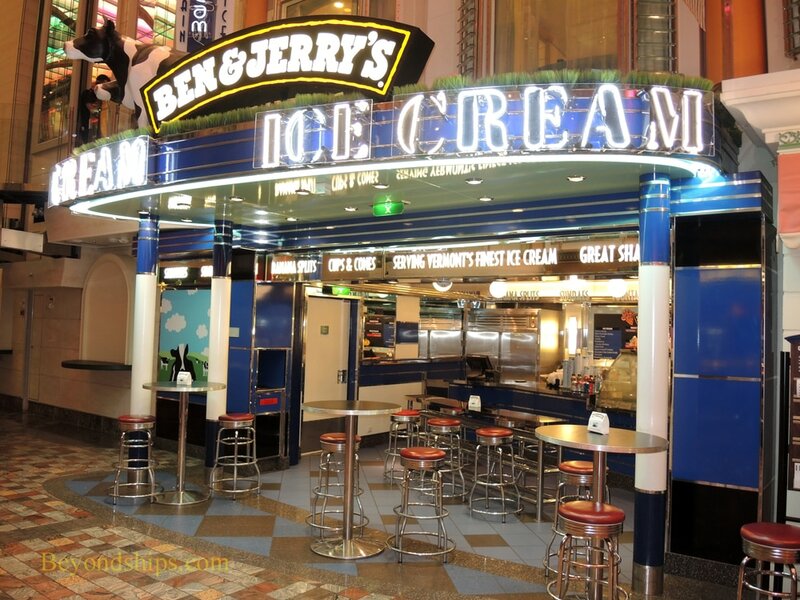 Ben & Jerry's, a branch of the name-brand ice cream parlor (above right). 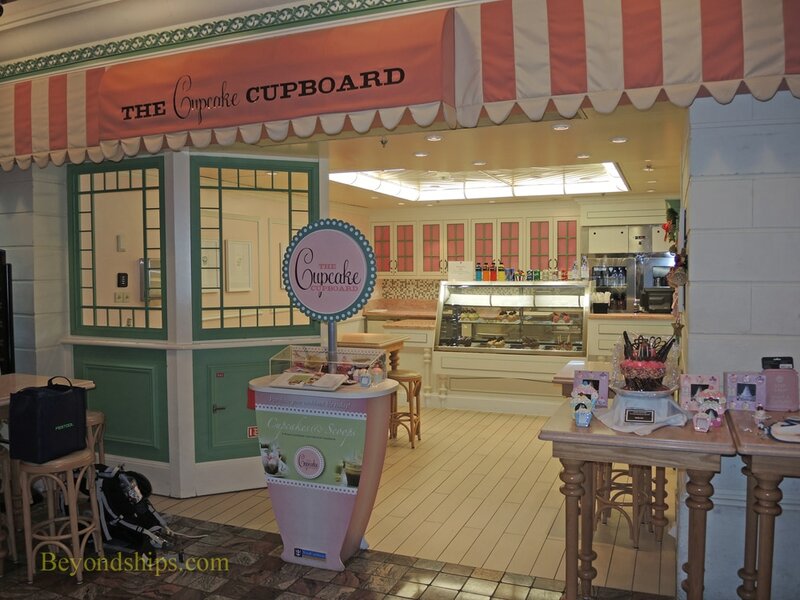 At the Cupcake Cupboard, guests can buy a ready made cupcake or create their own, (right). (Additional charges apply at Ben & Jerry's and at the Cupcake Cupboard) . Sorrentos (belowt) a casual pizza parlor. Pizza can be ordered by the slice or you can design your own individual size pizza. 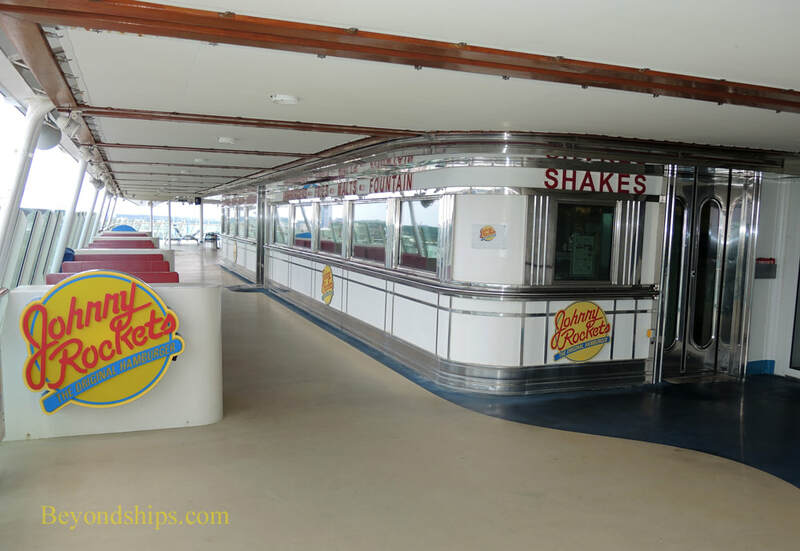 Johnny Rockets on Deck 12 is a 1950s style family-friendly dinner offering such things as shakes and malts, burgers, and cheesy chili fries. There is a cover charge for this venue.